This is a special order product, please call for availability and delivery time. 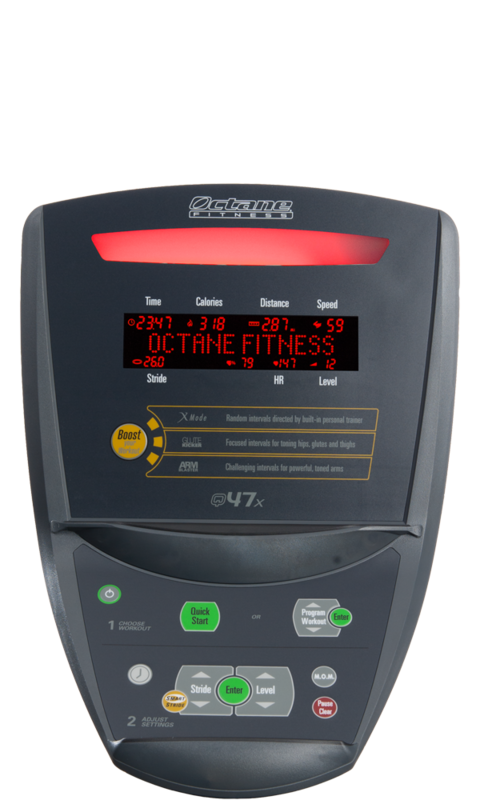 Exclusively from Octane Fitness, CROSS CiRCUIT combines cardio intervals on the machine with strength training exercises for an efficient, effective total-body workout in the comfort of home. And now with the SmartLink app, CROSS CiRCUIT is more advanced than ever. Designed with input from personal trainers, physical therapists and athletic coaches, CROSS CiRCUIT features 35 workout plans and instructional videos that demonstrate over 225 exercises right on your favorite mobile device. And SmartLink can create a customized CROSS CiRCUIT program to help you meet your goals, whether you're preparing for ski season, want to improve your golf game or simply want to get stronger in yoga class. All you have to do is get on the machine and go - SmartLink does all the planning and you do all the sweating.